The offseason can be a fun time for fans of baseball teams because of the boundless opportunities to improve the club you're rooting for. In this instance, the Mariners. It's fun hearing and reading about all the rumors and the players that are being attached to the club. The downside to that is while rumors are an every day thing that change frequently, the actual results are few and far between. The winter meetings begin next Monday, December 3rd in Nashville and that's where things will start to happen quickly. At least, one can hope. A trade can happen before the rumor gets a chance to spread on twitter. A surprise team can come from out of nowhere and grab a guy nobody was watching for a team nobody considered. As a blogger, it's about as close to Christmas as you can get without having the players actually gift wrapped and placed under the tree. ...the Mariners have been attached to a few veteran free agent hitters and even a not so veteran hitter. Mike Napoli is rumored to be seeking a 4 year deal and it may be a race to see who the first club is that will give him that 4th year. If multiple teams offer it, money may be the key, or just the place he likes the most. At this point, its all speculation and speculation is fun! One thing we don't need to speculate about is that he's been a catcher for most of his career, but isn't going to be a full time catcher for much longer. He was a part time catcher last year with the Rangers and expecting full time catching duties from Napoli in the coming year would be a little worrisome. Nick Swisher is another player attached to the Mariners, but he's fallen off the rumor wagon since the focus has been on Napoli the past week or so. Not for any particular reason, but you can only draw out the rumors so far before you run out of things to talk about. The other names bandied about in the trade rumor mill has been Billy Butler and Wil Myers. When I say trade rumor, I mean it's been reported the Mariners have talked to the Royals about these guys. For all any of us knows, that conversation could've been as simple as "Hey, just checking in to see if these guys are available." "Yup." "Cool. We may talk later." Ah rumors. With Butler, you know what you're getting. He's become mostly a DH only player the last several years and hasn't played the field. He's capable of it, but to what extent I can't possibly fathom as I don't watch the Kansas City Royals play baseball. 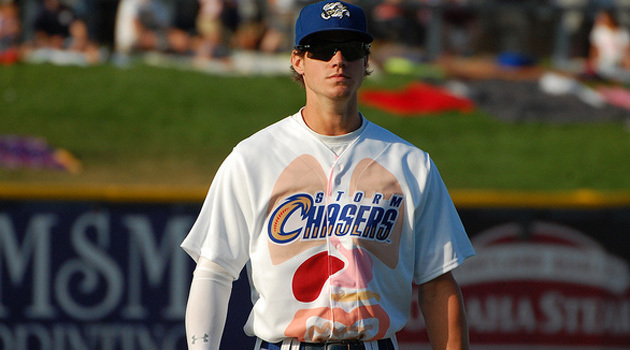 The Wil Myers rumor brings up an interesting question. Would you rather have a soon to be 22 year old who seems to be ready for the major leagues and under team control for 6 years, or would you rather have the proven, veteran bat for a shorter and more expensive contract? I've gone back and forth with this question in my head and I still don't have an answer. Swisher is getting up there in age, as is Napoli. Napoli had a down year in 2012 which is an indication that he's either on the decline or he just had a down year. He was only used part time at catcher last year, but full time in years prior. Catchers tend not to age well with a very select few being the exception. Napoli is not an exception. He may end up being more of a DH/1B type either sometime in 2013 or 2014. Either way, he is not long for the catching position. Still, Swisher is an adequate defensive outfielder that can hit homers and Napoli is an adequate defensive 1B/C that can hit homers. With either of those guys, you know what you're getting yourself into. On the other hand, with a guy like Myers, you have a player who was ranked as the #28 prospect before the 2012 season by Baseball America before he hit 37 home runs in 522 at bats between AA and AAA. He also hit .314 and struck out once every 3.7 at bats. He's a young slugger who has yet to sniff the major leagues and wouldn't be eligible for arbitration until after the 2015 season, if I did my math right. There's always the chance he could reach Super 2 status and get arbitration after 2014, but it would still be less of a hit to the payroll than a free agent signing. One other hitch to the Myers thing is that the Mariners would only acquire him through a trade. Who would the Mariners give up in a trade to get Wil Myers? I shudder at the thought. The Royals, however, are looking for major league ready arms and the closest Seattle has in the minors right now is probably Danny Hultzen and he got lit up in AAA the last half of the season. The Mariners could build a package around a guy like Taijuan Walker, but to be honest, my eyes start to well up at the thought of that. I get it's a pitcher for a hitter, but man, that one would still kind of sting a little. Let's not forget, Jesus Montero. Montero had a month of major league experience, was a year older, supposed to crush the ball last year and, well, you know what happened. That's not to say he won't be a masher by next season or the season after, but trading for a rookie, there will be growing pains. If Myers ends up in the Mariners lap, it would be an awkward position to have him in. I think it'd be better if the Mariners just didn't make their lap available and let him do his thing. The Myers scenario, at this point, is pure conjecture and has about a 1% chance of happening. I say that like I actually know what I'm talking about, but I don't. For all I know, the trade could go down Wednesday. From everything being talked about on twitter and the different sports writers, landing Myers in a trade could probably go in the dream category, but you just never know with Jack Z. That front office is about as close to being completely leak proof as you can get. It may be worth experimenting with the poll gadget they let you play with on the blog site to see what everybody else has to say, but right now, nobody really knows what's going on. We get to have fun thinking about the possibilities and the mights and coulds and what ifs and all those other wonderful little phrases. Until something happens, we get to sit back and enjoy the fact the Mariners have money to spend and intend to spend it.